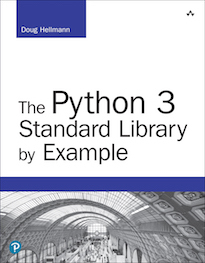 Python’s unittest module, sometimes referred to as PyUnit, is based on the XUnit framework design by Kent Beck and Erich Gamma. The same pattern is repeated in many other languages, including C, perl, Java, and Smalltalk. The framework implemented by unittest supports fixtures, test suites, and a test runner to enable automated testing for your code. In this case, the SimplisticTest has a single test() method, which would fail if True is ever False. The test does not pass, and raises an AssertionError exception. The test raises an exception other than AssertionError. There is no explicit way to cause a test to “pass”, so a test’s status depends on the presence (or absence) of an exception. When a test fails or generates an error, the traceback is included in the output. In the example above, testFail() fails and the traceback shows the line with the failure code. It is up to the person reading the test output to look at the code to figure out the semantic meaning of the failed test, though. To make it easier to understand the nature of a test failure, the fail*() and assert*() methods all accept an argument msg, which can be used to produce a more detailed error message. Most tests assert the truth of some condition. There are a few different ways to write truth-checking tests, depending on the perspective of the test author and the desired outcome of the code being tested. If the code produces a value which can be evaluated as true, the methods failUnless() and assertTrue() should be used. If the code produces a false value, the methods failIf() and assertFalse() make more sense. As a special case, unittest includes methods for testing the equality of two values. These special tests are handy, since the values being compared appear in the failure message when a test fails. In addition to strict equality, it is possible to test for near equality of floating point numbers using failIfAlmostEqual() and failUnlessAlmostEqual(). The arguments are the values to be compared, and the number of decimal places to use for the test. The results for both are the same, but the second test using failUnlessRaises() is more succinct. Fixtures are resources needed by a test. For example, if you are writing several tests for the same class, those tests all need an instance of that class to use for testing. Other test fixtures include database connections and temporary files (many people would argue that using external resources makes such tests not “unit” tests, but they are still tests and still useful). TestCase includes a special hook to configure and clean up any fixtures needed by your tests. To configure the fixtures, override setUp(). To clean up, override tearDown(). 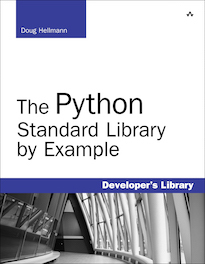 The standard library documentation describes how to organize test suites manually. I generally do not use test suites directly, because I prefer to build the suites automatically (these are automated tests, after all). Automating the construction of test suites is especially useful for large code bases, in which related tests are not all in the same place. Tools such as nose make it easier to manage tests when they are spread over multiple files and directories. An alternate means of running tests embedded in docstrings or external documentation files. A more sophisticated test manager.